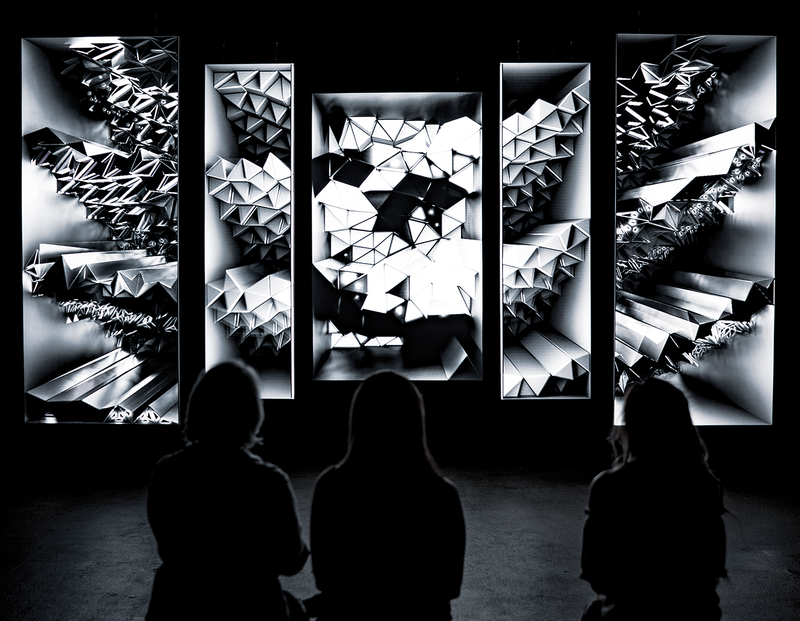 Volumen (Latin word for volume – quantity of three-dimensional space) is an audiovisual installation that revolves around three-dimensional forms contained in a defined space. 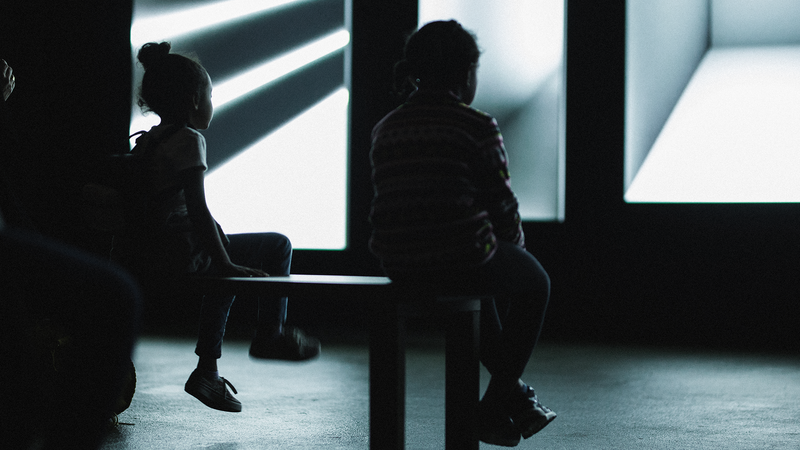 Their nature and behavior unfold through the fusion made of light and sound, generating optical illusions and unknown spaces that play with the perception of the viewer. 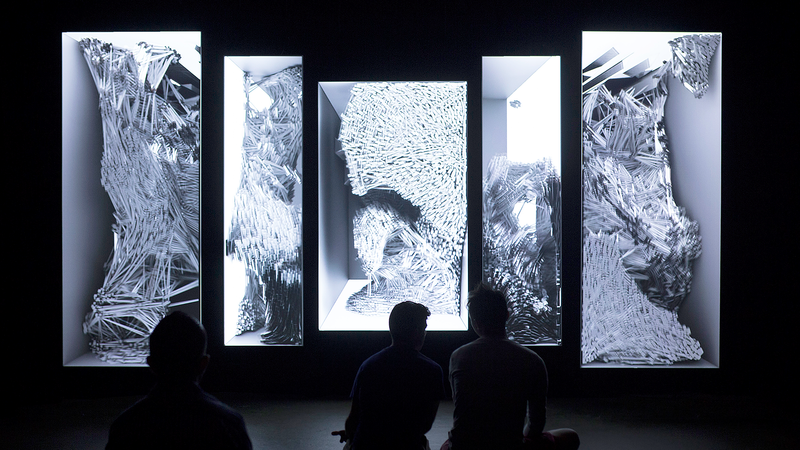 Using the technique of projection mapping this installation aims to break the connection between real and virtual space and create a uniquely immersive experience.